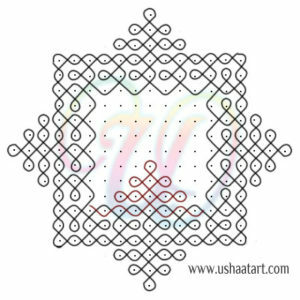 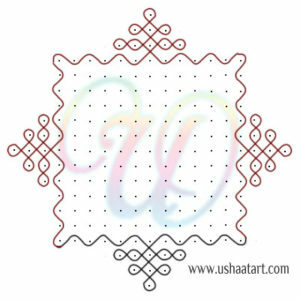 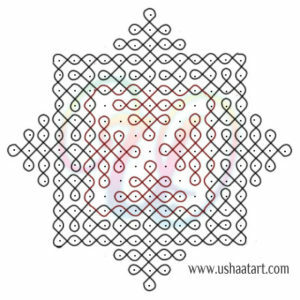 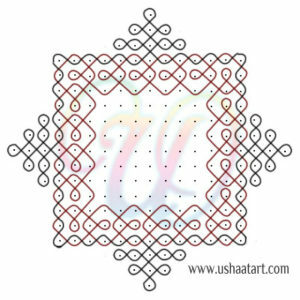 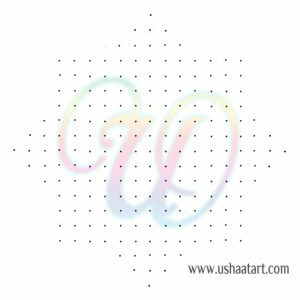 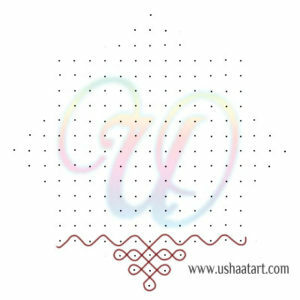 Step 1: Draw kolam pattern as shown below and repeat it at four sides. 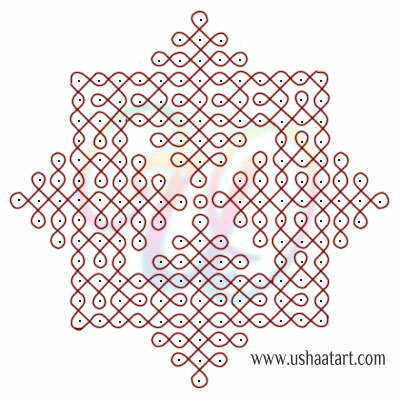 Step 2: Draw diamond pattern then repeat the same. 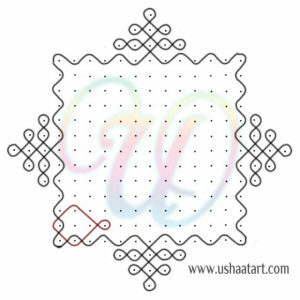 Step 3: Repeat step 1 pattern, but upside down.